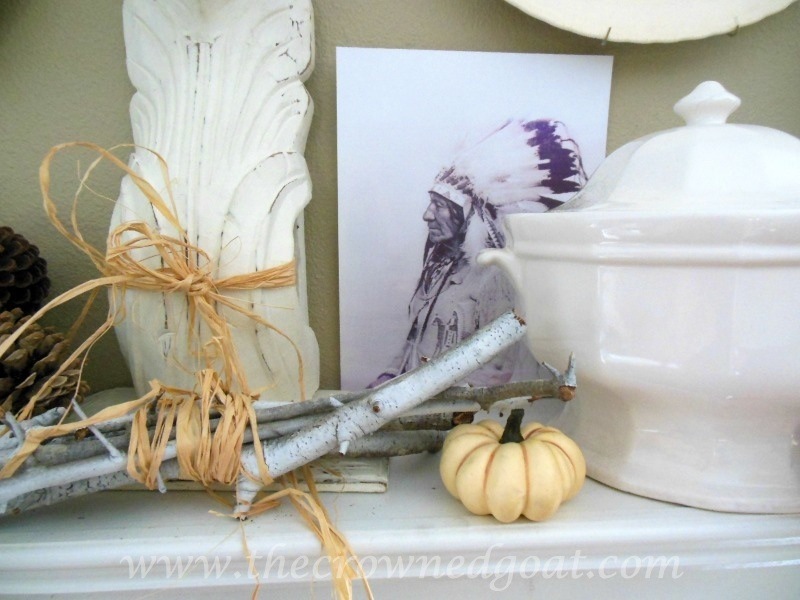 Welcome to the mantle portion of our Fall Blog Series. If you’re visiting from 2 Bees in a Pod, I’m glad you’re here. I have to say the fireplace is one of my favorite features in the entire house. The carpenter that made the windowsills also made the mantle and it’s wide enough for lots of ironstone. I’ve been collecting ironstone for a few years now. It’s not always easy to find but that’s what I love about it, it keeps me on the hunt. 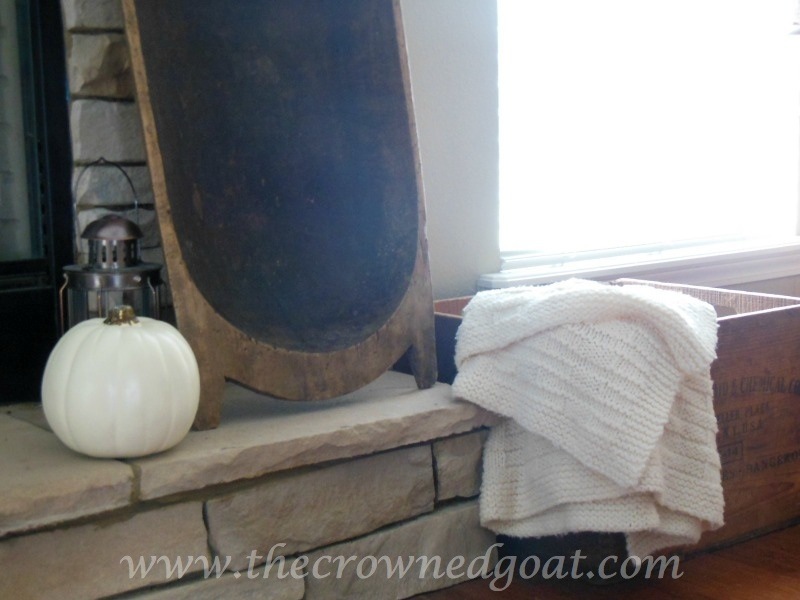 Once I found out we were going to create a fall mantle as part of this series I decided to use the ironstone as the backdrop. and added a few natural elements from the yard. I also decided to include this photograph that I’m completely in love with. After everything was set and in place I heard, “I thought you were doing a fall mantle, where are the orange pumpkins?” Right. I guess, you can’t have a fall mantle without a few pumpkins. For more pumpkins and fall inspiration check out the mantles at The Striped House , Concord Cottage, The Altered Past , 2 Bees in a Pod and on Saturday check out Bobbi’s mantle at Bluwaterlife. Coco, we are definitely kindred spirits! I love and have some of these same pieces. You have a beautiful fall display!! Angie, meeting you that fateful day at Haven was one of the best days ever! We are totally kindred spirits! CoCo – I love your mantel!! Your neutral color palette is swoon worthy. 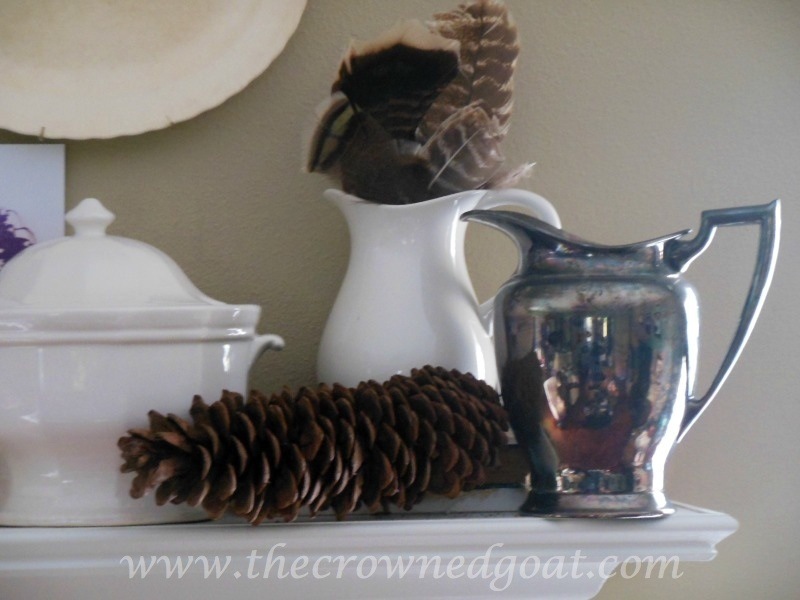 You expertly know how to decorate with white and make it beautiful. 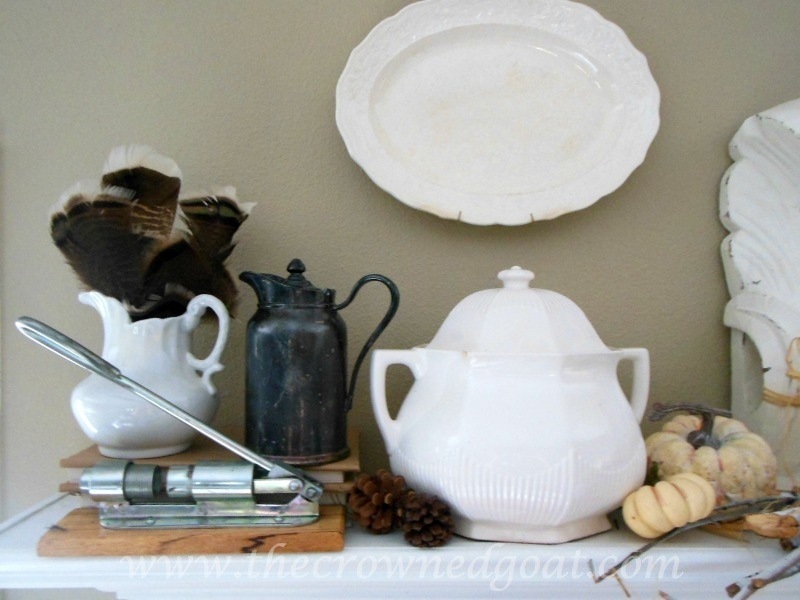 To my ever growing wish list please add the gorgeous dough bowl, the vintage flower press, soup tureens and the Chief! Well done! If we shopped each others house we could seriously come back with an awesome armload of goodies! Thanks for the kind encouragement Vicki! I really appreciate it Bobbi! My little ironstone collection is growing slowly but surely! 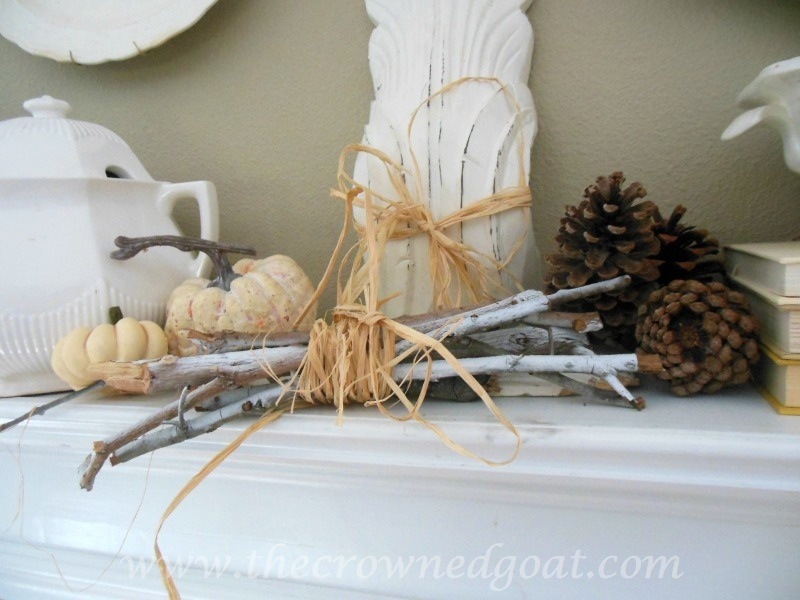 Your mantle is so cozy! I love the stone work on your fireplace – it’s beautiful. 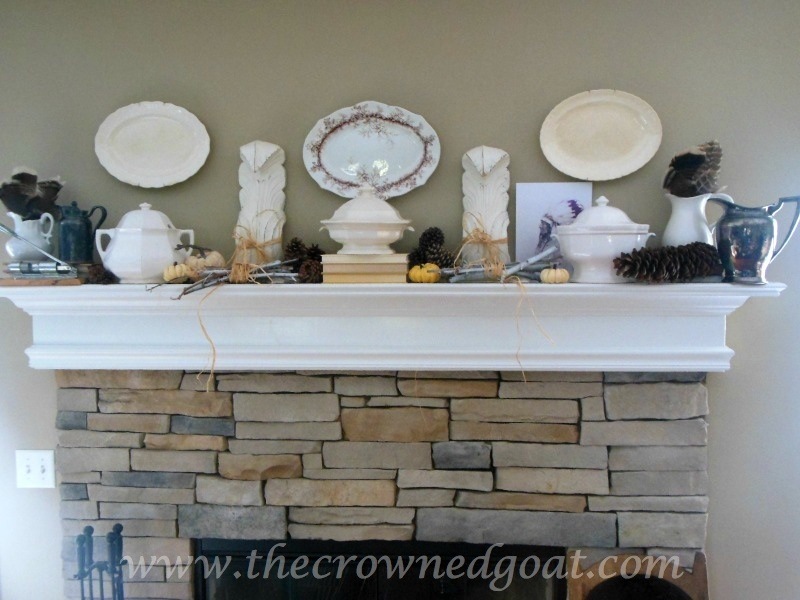 Thanks so much Jen, the stacked stone on the fireplace is one of my favorite features of the entire house!